Mix together all ingredients except corn chips and refrigerate. 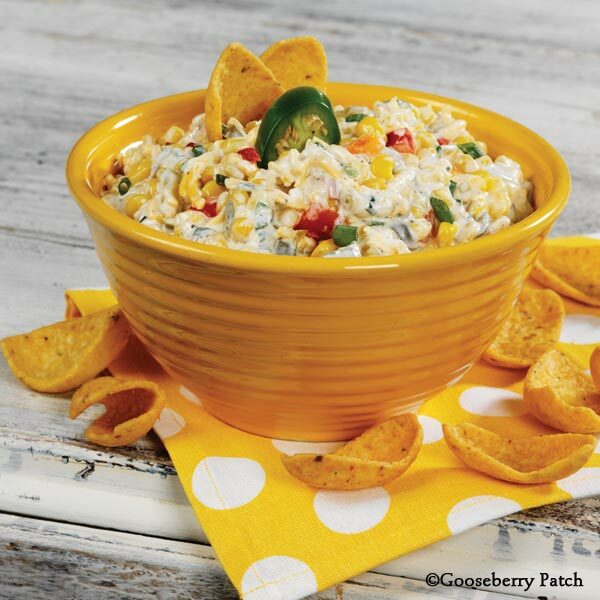 Serve with corn chips for scooping. Makes about 6 cups. Enjoy this recipe from Almost Homemade Cookbook originally published 11/2005.